MARTHA GYANSA-LUTTERODT BIO Martha Gyansa-Lutterodt is the Director of Pharmaceutical Services and also the Chief Pharmacist of Ghana. Martha is a product of Kwame Nkrumah University of Science and Technology, Ghana, Leeds University, United Kingdom and GIMPA’s School of Governance and Leadership. She serves on several national and international boards. She was a Lancet Commissioner on Essential Medicines and also an Expert member of World Health Organisation Expert Committee on Medicines Policies and Management, WHO, Geneva. In that capacity she was a member of Experts that recently reviewed WHO’s Global Strategy and Plan of Action on Public Health, Innovation and Intellectual Property. She has several publications on various topics like TRIPS, DOHA and Access to medicines, policy options for Ghana, Antibiotic Resistance in Ghana by Lancet Infectious Diseases, Essential Medicines in Universal Health Coverage among others. She has coordinated several assessments of the pharmaceutical sector in Ghana with meaningful contributions to the health sector dialogue. Mrs Gyansa-Lutterodt is a Fellow of West African Post-graduate College of Pharmacists and a Foundation Fellow of Ghana College of Pharmacists. 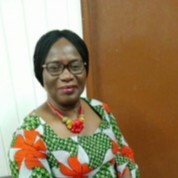 Martha is the current chair for Ghana’s Antimicrobial Resistance Working group that responded to the Global Action Plan on antimicrobial resistance with a country working mechanism. She has recently been appointed a Co-Convener for the United Nations Inter Agency Co-ordination Group on Antimicrobial Resistance.